There was a time when things were different. You remember – don’t you??? It all happened in college. I was walking on campus with my girlfriend and you shouted something at us. Your colorfully bright shirt triggered a blinding glare. 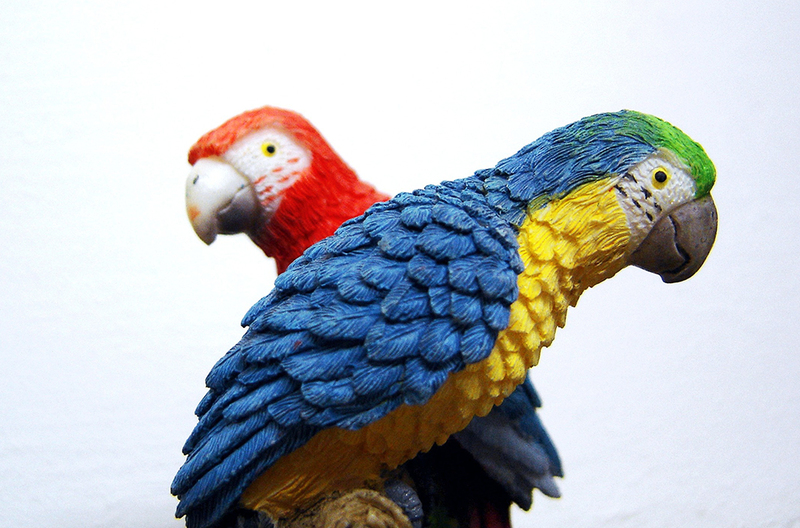 The sun bounced off the crimson fiery shades naturally worn by my pet Macaw. Red was your color. A sizzling burning cloak you wore so well. What happened to our heated passion? The days you when nothing and no one could come between us. I’m standing before you and can’t understand your venom. The days of growing old together were a distant memory. I can’t keep myself from remembering those campus days. I could see your eyes were filled with hatred as you walked away. You shouted, “An eye for an eye”, while an outstretched arm mimicked a sword. There was malice in your voice. I knew we had slowly drifted apart. How could you hold such rancor and bitterness for what had become so clear? The resplendent love that emanated from us used to make the whole world go blind. The dying embers of our love have, now, gone out. When we kissed and parted that night, I knew, we would never meet again. I was left with my cloak of memories. Fiction Short Story written for this challenge. 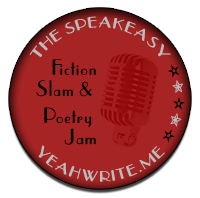 The Speak Easy at Yeah Write has challenged us to write. 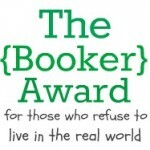 The badge for your speakeasy #147 post is found in the sidebar. Add the code to the html view of your post before publishing. Categories: Art, Romance, Short Story, speakeasy at yeah write, Writing | Tags: Endings, LIFE, love, PAIN, romance, Separation, story, WRITING | Permalink. You have captured a complicated dynamic so perfectly and so concisely–like a haiku. I feel the pain and sorrow and confusion in this story. Well done! comment. Thank you, Naomi, so very much. It is definitely my pleasure, Issy! Love is rustproof. Love which rusts soon is not a love but worst than hate. of a relationship than what hope is there? Thanks for stopping by and commenting. It’s greatly appreciated. Thanks Isadora ma’m for your comments. I wish complications occurred for the young only but, sadly, it can hit at any age. Sometimes, the longer people are in a relationship the more vindictive they become. I’m happy you thought it was a worthy write. Thank you, Obed Madina, for stopping by my blog and reading my entry. Ah, young love. So passionate and so quick…definitely reminds me of my college days. Ahhh , yes, young love can be complicated and inexperienced. But, there are be hurtful anger at breaking up at any age. It’s so sad. The brighter the fire, the worse it burns. You did such a good job capturing the pain that can come with the end of a relationship. Nicely done! The intensity of love during those first days can slowly diminish. Your kind words fill my heart with joy. Thank you, Suzanne, for stopping by. Your comment and visit to my blog is greatly appreciated. I have had many friends go through these ugly divorces. It’s always difficult and painful. Glad you enjoyed this entry to the challenge. I didn’t know the divorce rate was climbing in the urban areas. It seems that because we are living longer our lives change so much so we eventually don’t have as many things in common. Perhaps, the religious and cultural traditions change too. Still, I feel people should be considerate of the other person they are divorcing, after all, it would be wrong to be dishonest within a marriage.. It’s a blessings to find someone who can fulfill your life. It’s a pleasure to meet you. I hope to return to your blog and read many of your wonderful stories. A sad story … but you met the challenge well! your comment that I met the challenge. I enjoy writing challenges. I just watched old friends endure a nasty divorce and this rang very true in light of that. Remembering how passionately in love they were, it was shocking to watch their loathing playing out in nasty ways. You’ve captured that experience very well. I had been to but were now failed. Thanks for stopping by and leaving your insightful comment. the challenge. Thank you for stopping by and visiting and commenting. to write about this but fascinating to attempt. Super grateful for your complimentary comment. We all have our heartbreak memories, Issy. You’ve written this with such emotion and feeling, that it really rings true. I’ve had friends go through these horrific break-ups. It’s so sad. into the world of others. Thanks for the visit, Sylvia. I always enjoy seeing your comments. Sometimes loves sad like that… good job! Yes, indeed, it can be. I love writing about love. I’m very happy you enjoyed my short little fiction. I loved reading,it had so much emotion. Truly appreciate your lovely comment. Thanks for visiting. The past sometimes destroys the future. El Amor …. so complicated. But… what would life be without it? Desperately sad Issy but well written. Ahhh … El Amor … so complex. I always enjoy writing about it. bring many. BUT … what would life be without AMOR ??? Thank you dear friend … you always make me smile.